When you see a girl standing with a forlorn expression on her face and with the night sky as her background, she looks like a single light in the darkness. It has to be such an enigmatic and fantastic sight to behold. From the way she's staring silently at the darkness to the way the streetlights faintly illuminate her... The night is capable of amplifying her ephemeral beauty, something that you can't see during the day. 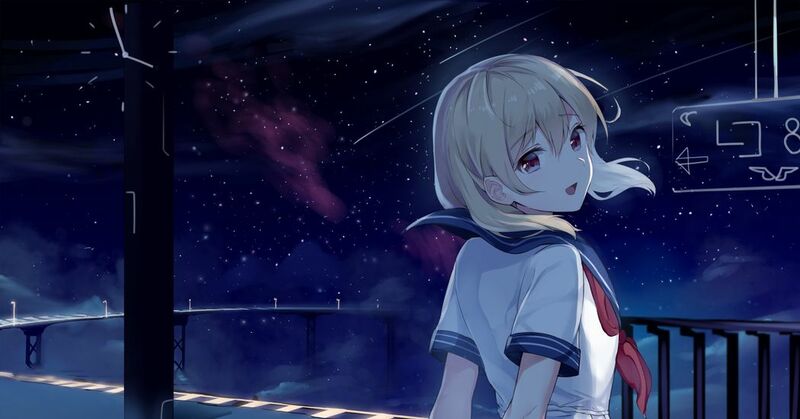 This time, we're featuring illustrations of girls and the night sky. Enjoy the sight of these girls as they shine in the darkness!